The tablet market is increasingly skewing toward laptop replacements, but what if you want a replacement for a low-cost laptop? Lenovo thinks it has the answer. 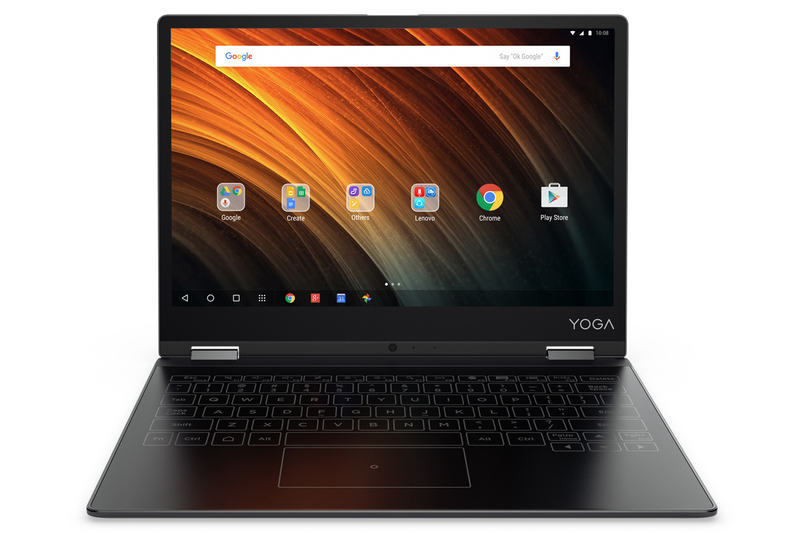 It’s introducing the Yoga A12, a 12.2-inch tablet that’s really a budget convertible laptop for the Android crowd. Think of it as a lower-priced but larger alternative to the Yoga Book. You won’t find the earlier model’s pen input or Windows 10 option, but you’ll still get a very portable design (it’s 0.21 inches thick at its slimmest point) that can fold into a slate when you’re watching Netflix, or a laptop when you need to get work done. The trick, as with the Yoga Book, is a flat touch-sensitive keyboard that eliminates some of the usual physical bulk. We found the Book’s keyboard hard to get used to, but it might be easier on the A12’s larger, more comfortable surface.